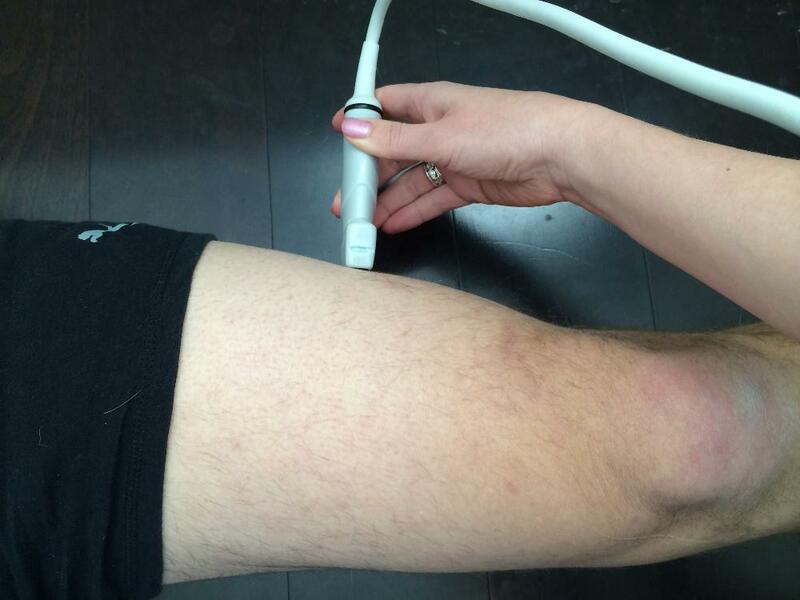 Using a tape measure, mark the center along the long axis of the thigh between the ASIS and the superior pole of the patella. 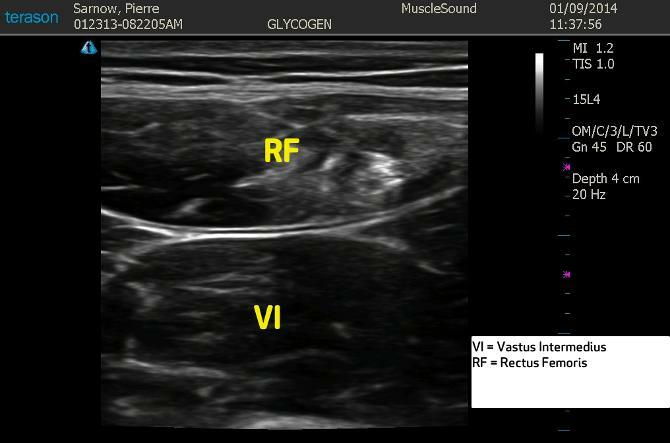 Place the probe at this center line in a short axis position and visualize the Rectus Femoris (RF) in the screen. 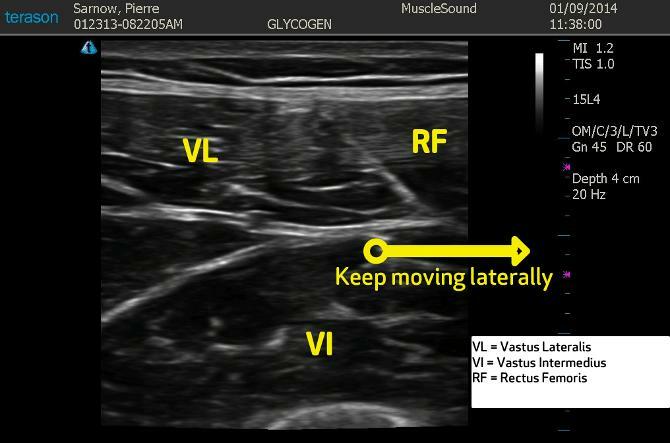 Move the probe laterally until the most superficial aspect of the fascia separating the Rectus Femoris and the Vastus Lateralis is on the extreme edge of the medial aspect of the image. 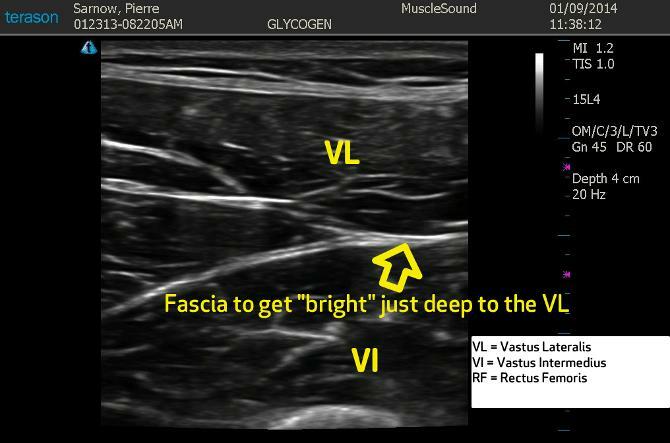 Toggle the probe to achieve a hyperechoic reflection (bright) from the fascia just deep to the Vastus Lateralis.